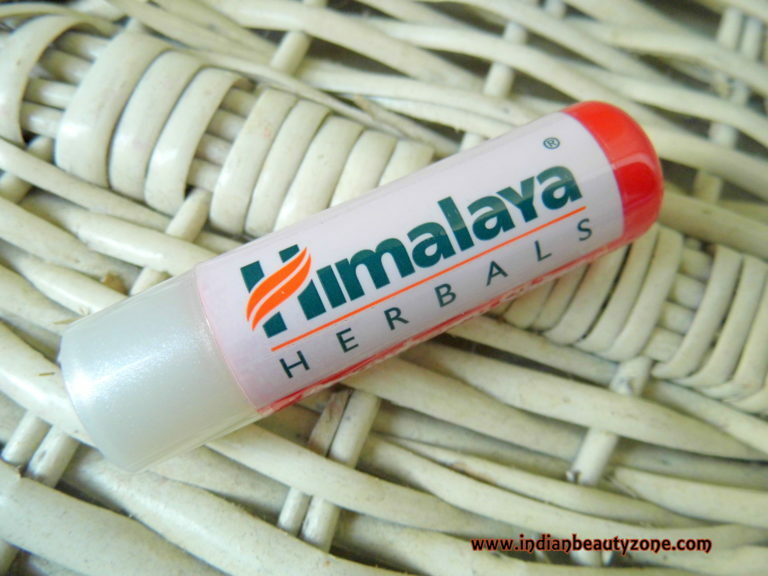 Himalaya Herbals Strawberry Shine Lip Balm, get glossy shine, soft and supple lips with our petroleum free lip balm formulated with vegetable oils which is free from preservatives. Strawberry seed oil which is a rich antioxidant conditions and moisturizes lips and protecting, leaving a beautiful hue of strawberry. Free from Petroleum, preservatives and artificial colours. Ricinus communis seed oil, Bees Wax, Theobroma cacao seed butter, hydrogenated castor oil, stearyl behenate, Coco Glycerides, flavor, Prunus Armeniaca Kernel oil, Tocopherol, Arnebia Nobilis root extract, Fragaria vesca seed oil. The lip balm comes in an attractive colour packaging which is in dark red top with white bottom which is travel and user friendly. It is strawberry flavor and I like the shade and the smell. The shade shows well on my lips and I love the tint very much. 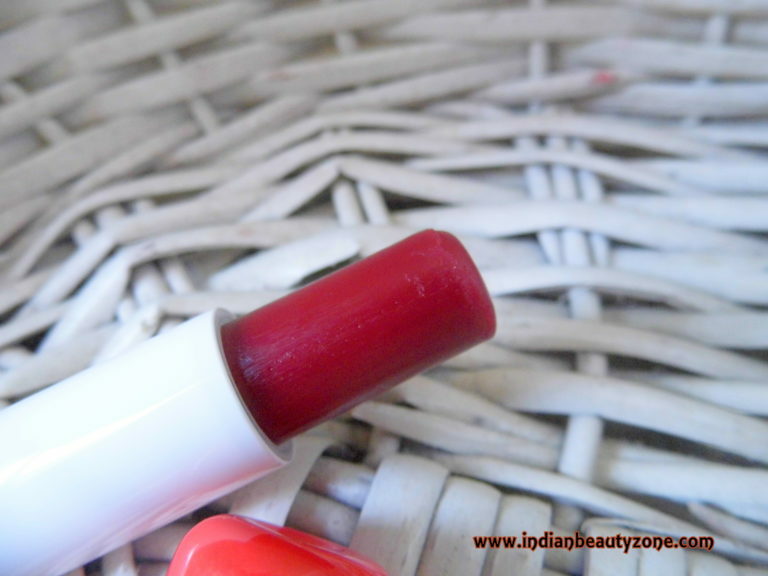 I don't use lipsticks much, so I always opt for tinted lip balms which are convenient to use and makes me feel comfortable always. 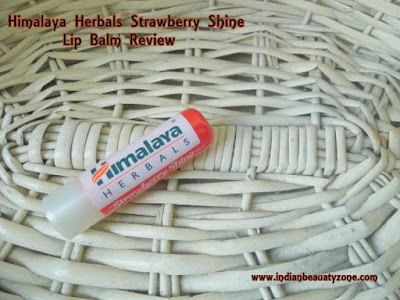 This one Himalaya Herbals Strawberry Shine Lip Balm has the right amount of tint and it hydrates my lips very well. 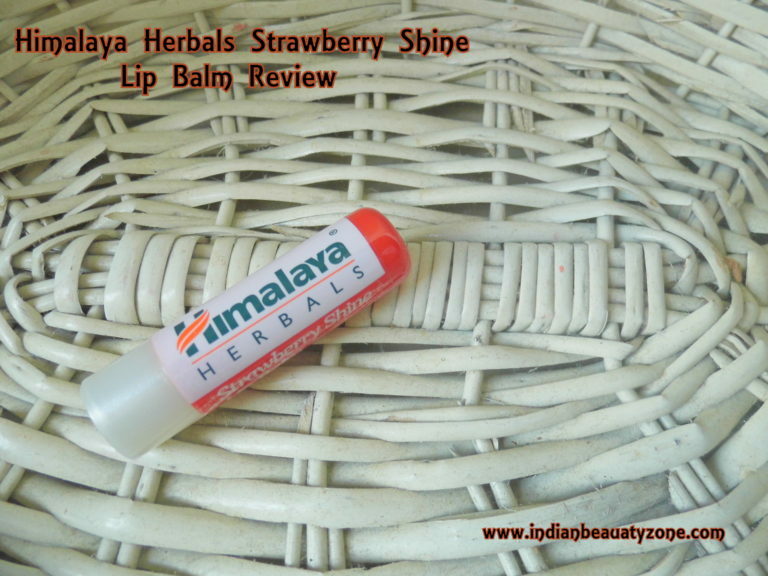 I use it in the night time also and I wake up with a soft and supple lips always. It has such fruity fragrance which makes me to get addicted to this lip balm. 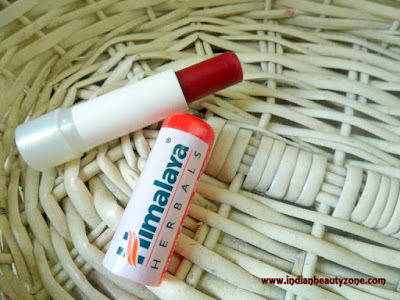 The tint stays on my lips for few hours and the smell too. 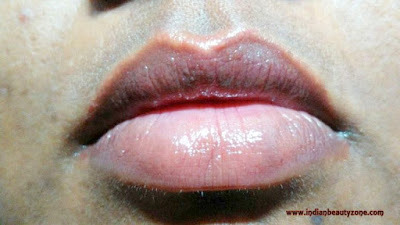 It gives a shiny and glossy look to the lips. It can heal chopped lips by regular application. So it will be a best buddy for your lips all round the year. It is herbal and non allergic product. It is free from petroleum. Treats chopped lips as well.